Leinster Summer Camp in Tullamore 4th -8th Aug 2014. 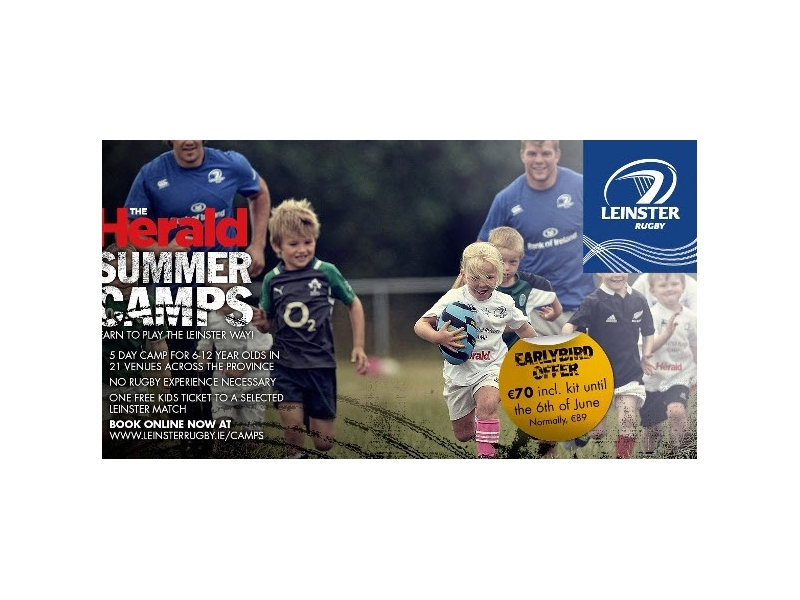 The camps which run in 21 venues throughout the province during July and August will revolve around maximizing enjoyment and learning to play the Leinster way. This year will see a strong emphasis placed on the capacities of the players and the rugby specific coaching will be tailored to each individual group and conducted in an appropriate safe manner with the aim to optimise learning, create friendships, improve rugby skills and enhance rugby specific knowledge. The typical week will see the camp content broken down into the various elements of the game and see each day take on a different aspect of skill development, taking it from an introduction level through to using it in fun game based activities. A special area that we will be focusing on this year will be at Mini Stage 2 (8-10 years old) and Mini Stage 3 (10-12 years old), where the players will learn and experience activities around coaching based techniques such as 'Players on the Ball' and 'Players in Space'. This will see the coach's guide and give an understanding of the skills that are needed in these areas of the game such as passing, evasion, tackling, decision making and general movement. • Learn new skills; make new friend and most importantly-HAVE FUN! 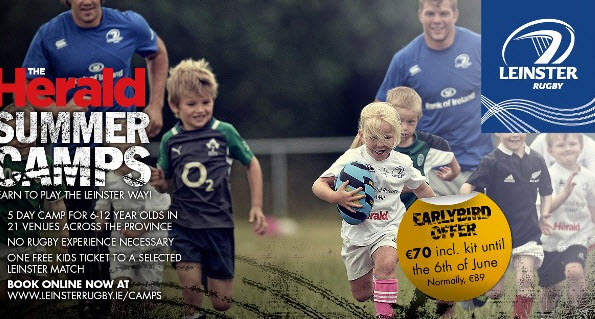 Sign up today at www.leinsterrugby.ie/camps to avail of the early bird price of €70. It's cheaper than a babysitter!